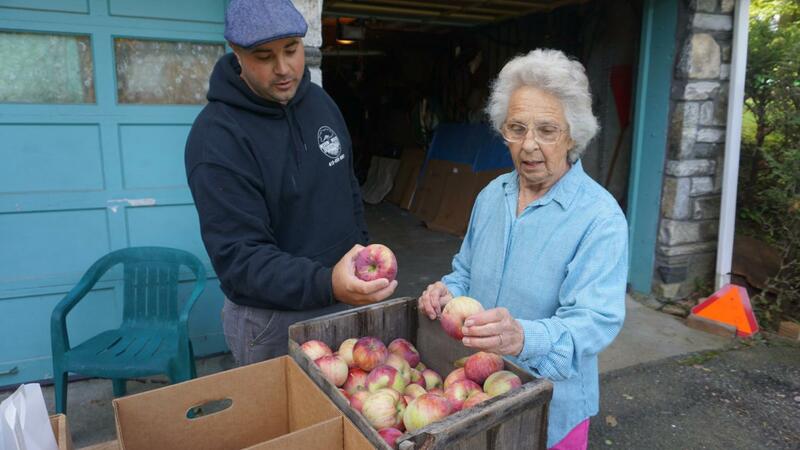 Kyle Kielbasa and his grandmother grade apples. Upon entering the Hampshire Dining Commons, students see signs declaring “local” and “farm-fresh” food before even swiping their U-Cards. A large photo of a smiling man in plaid, labeled “Farmer of the Week,” hangs in the entryway next to a multi-tiered basket of apples. A sign lists the “Top 10 reasons students should eat local food.” A burlap sack and a small produce crate contribute to the rustic, agricultural theme. For the third consecutive year, UMass was awarded the category of best campus dining in the country by the Princeton Review. The university’s mission is to serve students “healthy, sustainable, delicious,” food. 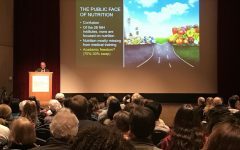 To work toward the mission, it launched the Local Healthy UMass Food System Initiative and has contributed $4.5 million to the cause in the past year. In the Pioneer Valley, hundreds of farms contribute to a food economy that supplies the region with healthy, sustainable options. 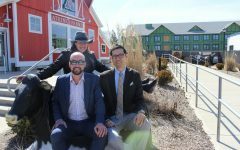 UMass Dining supports this local agricultural community by serving the largest collegiate dining program in the country food sourced from nearby farmers and growers. Meet a few local farmers who put the food on the dining hall tables. 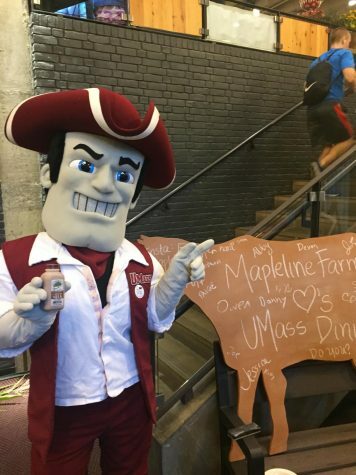 (Jessica Dizek/Amherst Wire) Sam the Minuteman poses with Mapleline Farm chocolate milk at the UMass Dining “Meet the Farmers” event. Many students start their day with Mapleline Farm products, whether they enjoy a Procrastination Station coffee or drink milk with breakfast. Mapleline Farm, located in Hadley, supplies dairy products to UMass dining halls and retail dining locations. 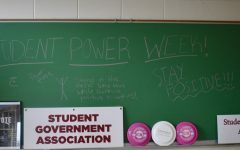 It has had a strong relationship with the university for the past five years. Mapleline keeps the business in the family and has for generations. Jessica Dizek and her sister, Jennifer Zina, grew up on the farm and now help run the operation. The sisters explained how much appreciation they have for the education UMass students receive about eating locally and the role the university plays in the local food economy. 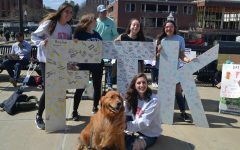 “It’s something students don’t necessarily come in for, but it kind of becomes part of the deal… It’s good to learn that there is a face behind your product, and it’s good to ask questions and to show support for local products,” Dizek said. The farm frequently welcomes UMass faculty who bring students to learn about how the farm is run and how to handle livestock. The sisters said they love to help students learn about their work on the farm. They also love seeing new people come into the farming community — especially women. “We see more farmer’s daughters taking over, and new, beginning farmers who are women. They have the confidence, and know they can make a living at this and that it’s not a male career,” said Dizek. “It’s on the rise, and as women, we can do this. We know it’s hard work, but we can do this and we have done this,” said Zina. The Joe Czajkowski Farm is a large 400-acre farm that has partnered with UMass Dining for 17 years. 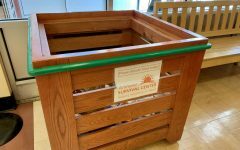 It the dining halls with 30 different types of fruits and vegetables such as beets, sweet potatoes and carrots; all grown just miles away in Hadley. According to Czajkowski, the farm’s relationship with the university has increased the farm’s income, and enabled him to hire more employees and grow a wider variety of produce. In addition to UMass, the farm also supplies produce to local institutions like Cooley Dickinson Hospital and various public schools. Locally-grown foods in the dining halls have labels telling students where their vegetables are grown and where their fruit was picked. The Joe Czajkowski Farm is one of the names that can be found on produce across campus. Students can even stop by the farm to buy fresh produce or pick their own strawberries in the summer. “We have visited the dining halls and it’s a top-notch operation with world class food. 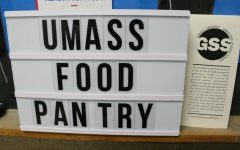 Nobody tries harder than UMass,” Czajkowski said. Kielbasa Orchards, a small operation in Hadley, has been in the Kielbasa family for four generations. Owned and run by Kyle Kielbasa, a UMass Class of 2008 alumnus, the orchard supplies apples for the dining halls and retail dining locations on campus. When Kielbasa was unloading a truck for one of his early jobs as a student, he noticed a CISA “Buy Local” bumper sticker. He decided to mention his grandparents’ local farm. “I was just like ‘Yeah, buy my grandparents apples, that would be cool.’ And I didn’t know it, but the purchaser at the time for the UMass Dining Commons was in earshot. This is just real life, that’s how a relationship was built,” Kielbasa said. 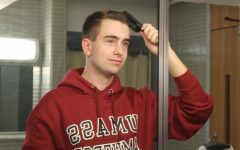 Kielbasa expressed the importance of UMass as a reliable customer. The university has helped keep his family in business for years. 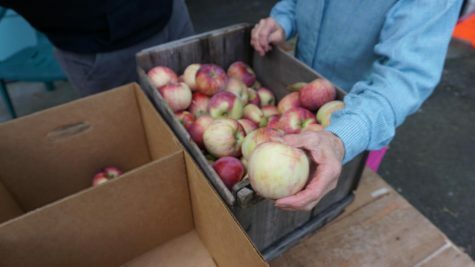 “To be able to create pallets of apples and drive them just down the street and sell them all at once at a fair market price is one of the biggest things that has allowed us to make the annual decision that we can keep farming,” he said. 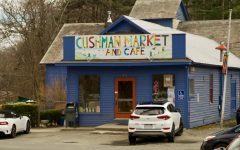 Kielbasa recalled having a great experience with the food at UMass while he was a student, but found that the transition to local, fresh produce is what ultimately sets UMass apart today. “The quality of that apple I spent a whole year growing is going to be much higher if it is farm to table. 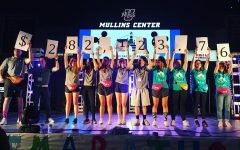 And so, if the dining program can incorporate that with everything, I mean, the quality of the food is going to be a lot better,” he said.